It’s easy to replace your Easy Valve bags, and get a much longer life out of the mouthpiece. 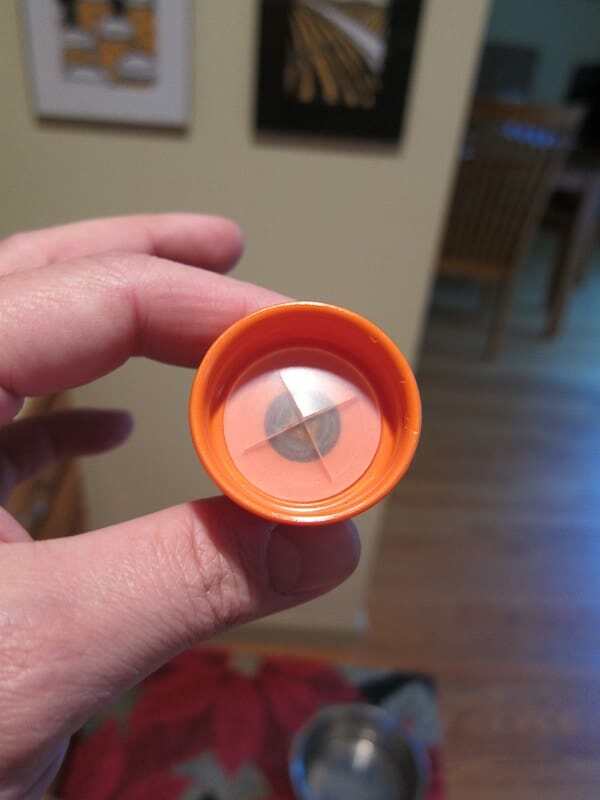 I love the easy valve for many reasons, but the wasteful nature of single use was troubling. Using this trick I’ve been able to clean and keep using mouthpieces 20+ times over. 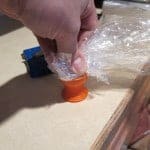 You can use Oven Bags or Vaporizer Bags, it doesn’t matter. 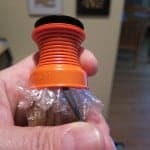 Using a very small flat head screw driver, pop out the bag from the mouthpiece by sliding the flat head up between the bag and the orange plastic, and then prying the bag out. Do this slowly and carefully, and be careful. 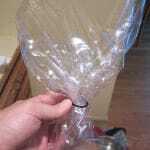 Remove the black o-ring and the clear plastic retaining ring from inside the bag. 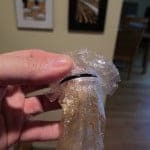 Remove the bag and save for extraction or discard. Make sure not to loose the valve, which is a small disc of rubber. Clean all the reusable parts. I recommend hot soapy water. These plastic pieces are not as heavy duty as the rest of the Volcao and I don’t think they should be cleaned with a solvent like alcohol. 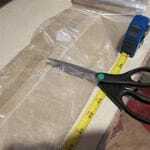 Cut new bag to length if using Volcano replacement bags, the length is a matter of personal preference. Prepare the new bag. Thread bag through black o-ring. Open up bag. 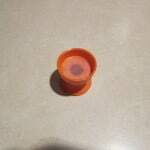 Roll o-ring up to clear plastic retaining ring. Position at end of bag, and roll o-ring onto the clear ring so that it sits in the groove. 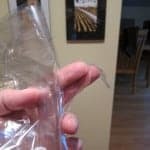 Tie off end of bag. 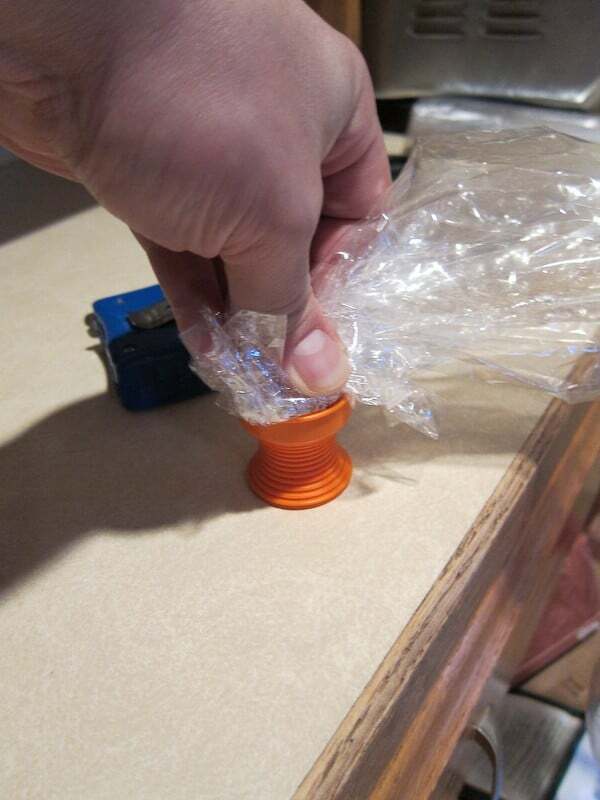 Prepare bag for assembly by folding back back over o-ring and smoothing flat. Prepare mouthpiece by assuring valve is centered and placed correctly. Place it on a flat and sturdy surface which can handle you pushing down forcefully on it. Line up the bag and the mouthpiece and press strongly and directly down until the bag snaps back into place. It’s helpful to use a flat heavy object to push the bag into place and apply even presure. For example the bottom of a heavy mug, small block of wood, be creative. 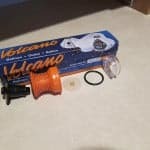 Done – new Volcano bag for much less money and spares some waste. 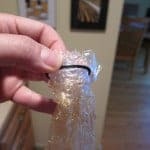 What do you use to tie off the end of the bag I cant think of something that will get as good of a seal as the metal ties the original bags have. 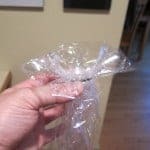 I cut a small stip off the bag roll and use that like a ribbon. Ties up nice and tight and then after a double knot can be trimmed down. 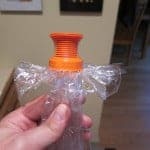 You could also just tie the end of the bag into a knot. This line, which was very conveniently at the top of the page, has here saved me hours of frustration and a $100 frustration-buy replacement starter kit. Much appreciated. I don’t know of any way to extend their useful life, over time they all crack and start to leak and need to be replaced. The resin can be extracted a number of ways. Some folks cut the bag into strips and simmer over a low heat in butter or milk. The bags come out clean and the resin bonds to the fat molecules and then the butter or milk can be used for cooking edibles. And some people have reported success warming the use bag up and using a credit card wrapped in parchment to scrape it off. How big is your flat head? 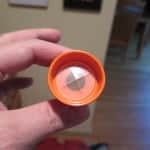 You need a pocket size screwdriver with a small tip. 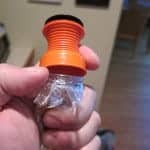 Sometimes soaking the mouthpiece in a bowl of hot water will soften the plastic a little bit and make it easier. My flat head is about a size 10 hat size! Use a #1 or # 00 flat head screwdriver, such as that for watch repair or an eyeglass type screwdriver. If that wont work, mix vodka with orange juice and use that screwdriver. It won’t work on the easy valve, but you won’t care. 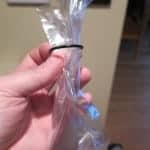 You can buy replacement bags here for about $7 a box. 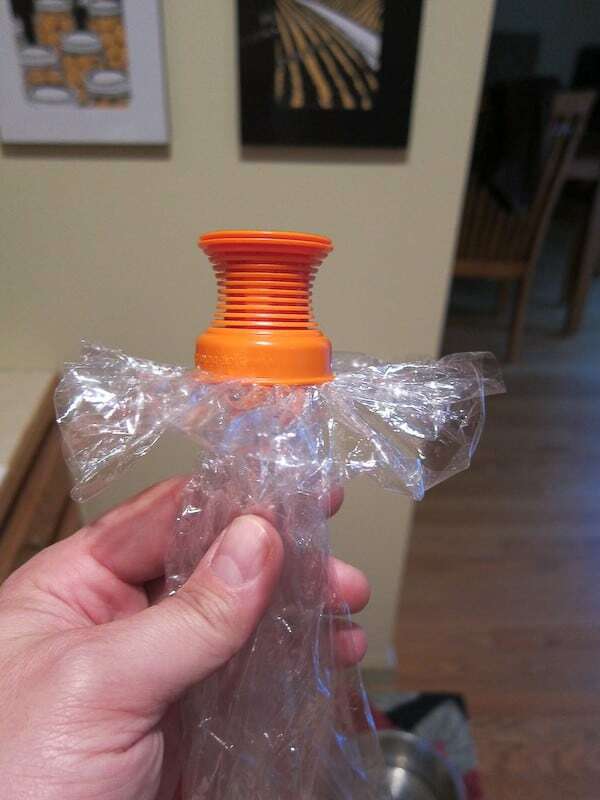 Is it supposed to be so difficult to pry out the bag? I literally have /not been able/ to complete this step no matter which tutorial I’ve consulted. 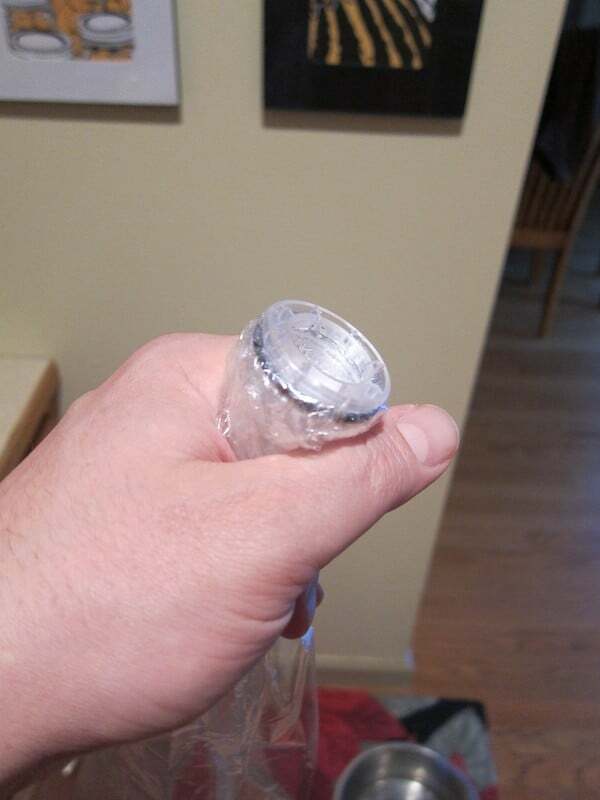 Once I was finally able to get the flathead down between the bag and the outer shell, but it was super stiff and I couldn’t pry it out without the flathead popping out. To even get the flathead in between I had to brace the piece on a hard surface and use my weight. I’m not some strong dude. But I’m not petite for a woman and as a woman who grew up playing sports and roughing it on camping trips, I’m not shy about using what strength I can master to get a job done. Tips? Would shifting the temp of the mouthpiece body make this any easier? 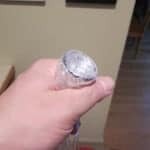 Try soaking the mouthpiece in hot water to soften the plastic. Also, try another mouthpiece altogether – I’ve found some are more difficult than others. It gets easier the more times you pry it out. Also I find using a small screwdriver makes a difference. Hey! Great site! 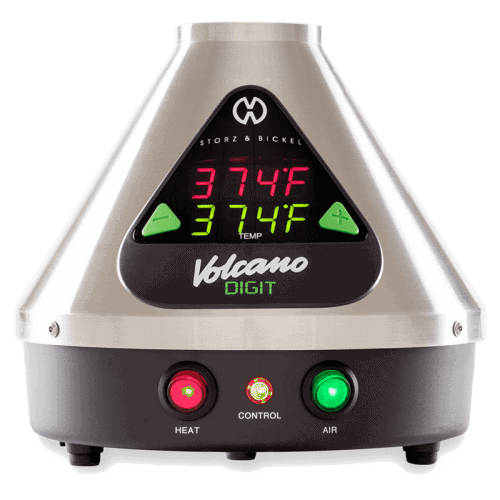 I’ve been using my volcano 5+ years and really glad I found your site, thank you for sharing.